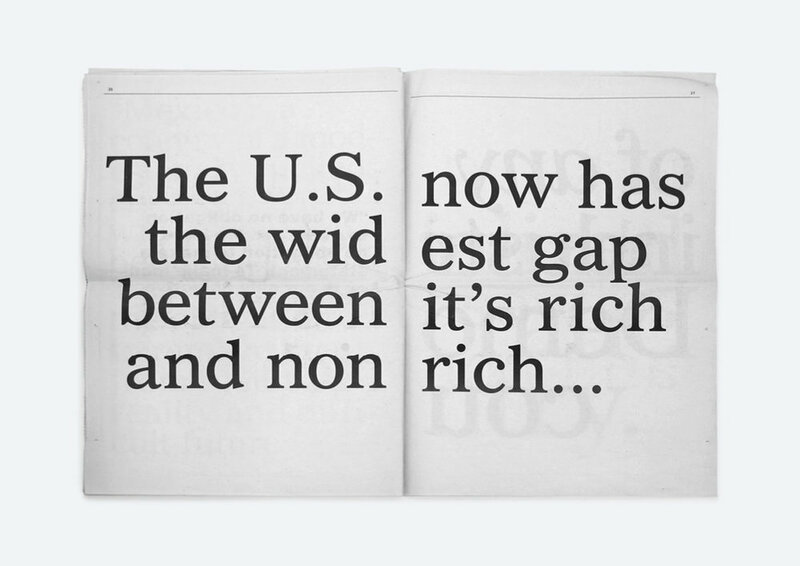 In 2004, while studying at the School of Visual Arts in New York, myself and my fellow classmate, Brian Ponto, were looking to collaborate on a project together—we wanted to focus on an issue that Americans were interested in, but fuzzy on the details. 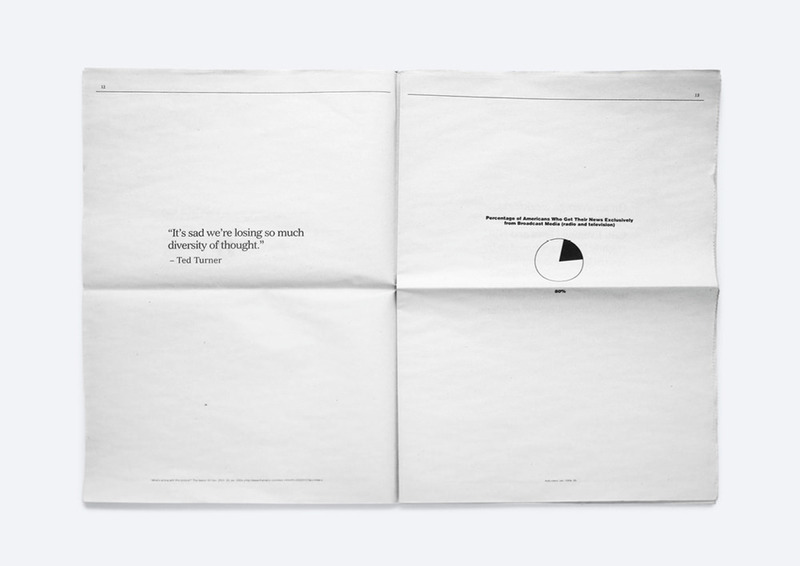 With this in mind, we created a 32-page printed newspaper that presented the state of the media landscape using cited facts and direct quotes. Simple and direct, the emphasis on fact over analysis and succinct over longform was designed for a reader to walk away with a basic understanding of the issue, and provide resources for further research if they were interested. We believed (and continue to believe) the public needs a jump start, a cliff notes of sorts, and that an informed public would be more likely to take action on issues if they only knew some basic information about them. Created back in 2004, this pre-dated the news-as-explainer model of journalism that is so prevalent today. 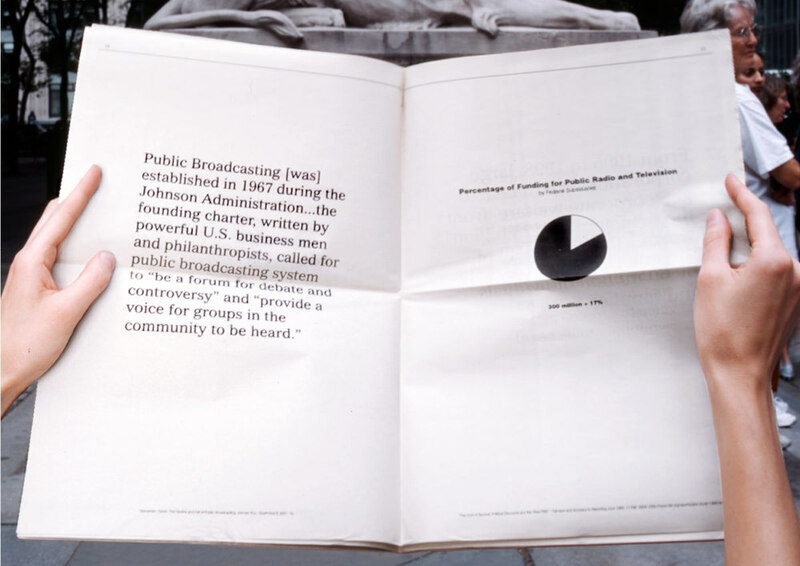 Later in 2004, we applied the same approach of the earlier Freedom of the Press project to a pamphlet addressing voting rights, in an effort to encourage voter turnout for the 2004 elections. Our main takeaway was the demographic blocks who had to fight for the right to vote the most voted least. 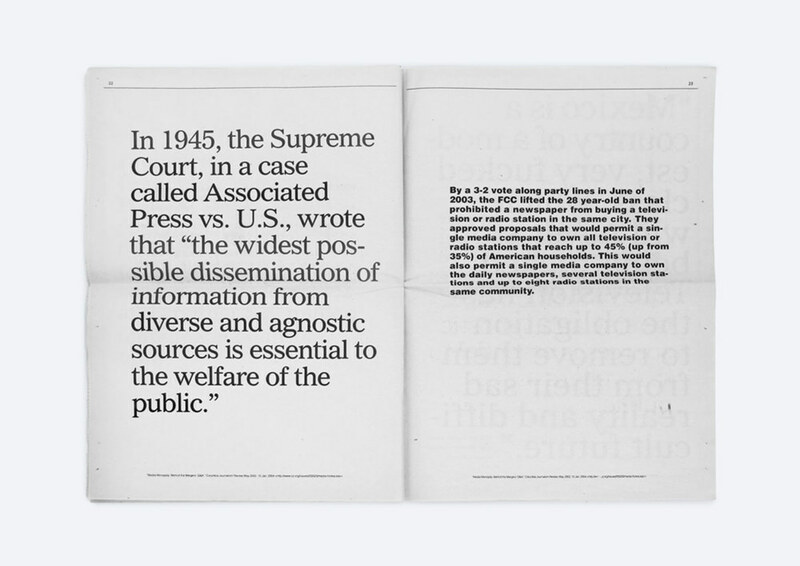 The pamphlet folds out into a poster made of dots. Each dot represented 537 votes—the number of votes that decided the 2000 presidential election in the infamous Florida recount—out of nearly 6 million votes cast. There were roughly 11,170 dots on the total poster, and one tiny dot (pointed out by the “i” in “This”) represented the deciding voting block. The pamphlets were distributed by various voter registration organizations across the country.